Renew or extend the services on your WatchGuard Firebox M370 firewall. Keep your Firebox M370 up-to-date with Standard Support or extend your network protection with one of WatchGuard's Security Suites. Unsure which renewal you need? Call us on 03300 881114 and we will check your current supscriptions. Please have your serial number to hand. WatchGuard 3-yr Total Security Suite Renewal/Upgrade for Firebox M370 including Gateway Antivirus, Application Control, WebBlocker, spamBlocker, Network Discovery, IPS, Reputation Enabled Defence, Data Loss Prevention (DLP), Dimension Command, APT Blocker, DNSWatch, Threat Detection and Response, and Gold Support. 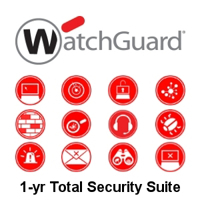 WatchGuard 1-yr Total Security Suite Renewal/Upgrade for Firebox M370 including Gateway Antivirus, Application Control, WebBlocker, spamBlocker, Network Discovery, IPS, Reputation Enabled Defence, Data Loss Prevention (DLP), Dimension Command, APT Blocker, DNSWatch, Threat Detection and Response, and Gold Support. 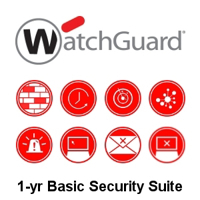 WatchGuard 3-yr Basic Security Suite Renewal/Upgrade for Firebox M370 including Gateway Antivirus, Application Control, WebBlocker, spamBlocker, Network Discovery, IPS and Reputation Enabled Defence as well as Standard Support for support and device warranty. WatchGuard 1-yr Basic Security Suite Renewal/Upgrade for Firebox M370 including Gateway Antivirus, Application Control, WebBlocker, spamBlocker, Network Discovery, IPS and Reputation Enabled Defence as well as Standard Support for support and device warranty. 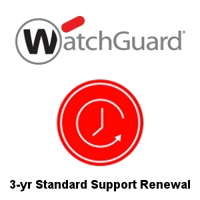 WatchGuard Standard Support Renewal 3-yr for Firebox M370, providing hardware warranty, software updates and technical support. WatchGuard Standard Support Renewal 1-yr for Firebox M370, providing hardware warranty, software updates and technical support. Upgrade your Standard Support to Gold Support with a premium 1hr response time. Extend your Gateway AntiVirus protection with APT Blocker. Using a cloud-based sandbox with full system emulation APT Blocker can detect and block advanced malware and zero day attacks.